Retrieve Outlook Contacts with proficient Address Book Recovery Software! 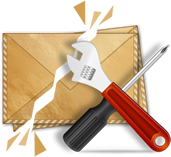 Know How to Retrieve Outlook Contacts From Damaged PST! When it comes to contacts, Microsoft renders many facilities like organization of contacts into groups via usage of categories, folders and views. One can use these facilities to group contacts as personal and business contacts. Exporting contact data is also easy when it comes to MS Outlook. But sometimes it becomes difficult to retrieve Outlook contacts due to corruption in PST file. In that situation you can rely on our foremost solution which renders a supreme recovery of MS address book and offers numerous features and accurate results. MS Outlook storage file stores every data in same PST file, i.e. emails, calendars, along with contacts is saved in same PST file. This means that if your Outlook storage files have some issues, it will corrupt every data type including contacts. Once these contacts are damaged you cannot access these important contacts. PST corruption can be consequences of either human error or error caused by system. Sometimes PST file is overloaded with email data and it has chances to become corrupt and this can lead to loss of data. Improper shutdowns and power cuts can also cause corruption if Outlook is still running. Virus attack, faulty networking device, data storage device failure, issues in Outlook program are some other reasons for damage in storage file. Whatever is the reason our software helps you to retrieve Outlook contacts in few simple steps. If you are looking for how to retrieve deleted contacts from Outlook 2010 then you are at right place because our software not only helps you recover contacts from damaged PST file it also recovers the deleted contacts which might have been accidentally deleted and now you want them back. Our software has advance feature of retrieving back contacts which can be availed with this tool. Software is capable to retrieve contacts from both Outlook storage files i.e. PST and OST file. Corrupted PST files can be added to the software to retrieve Outlook contacts from damaged files as well. Deleted contacts recovery is also possible with this contacts recovery tool. Once you recover contacts it can be saved in three file formats: PST, vCard and CSV. Speedy recovery will be provided without much of time consumption. Complete recovery of contacts is provided and no contacts are altered. Search option available if you want to check any contact weather it has been recovered or not. Proper distribution of contacts according to alphabets making the contact management easier. Display of every data fields of contacts like modification and creation date as provided in PST file. All these features of Address Book Recovery allow you to retrieve Outlook contacts in a much convenient way. If you want your contacts rescued from damaged PST, try this tool and get best results.